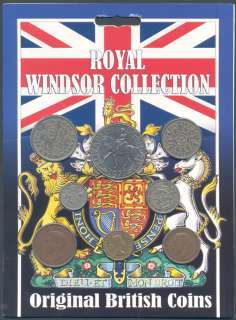 This Royal Windsor Collection coin pack contains 8 coins, all held in a clear blister on a card. When George V became King in 1910, his family name was Saxe-Coburg-Gotha. 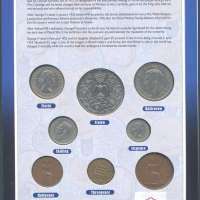 For the first seven years of his reign he kept his German surname, but in 1917, in recognition of the anti-German feelings of the British people during World War I, George and his family changed their surname to Windsor. It was a symbolic gesture by the King who took his role seriously and who adhered strictly to his responsibilities. After George V's death in January 1936, Edward VIII acceded to the throne. Determined to marry Mrs Wallis Simpson, a twice-divorced American, Edward abdicated in December 1936 after the Prime Minister, Stanley Baldwin, informed him that the country would not accept Simpson as Queen. After Edward VIII's abdication, George VI acceded to the throne. He became a popular figurehead for the nation during the dark days of World War II. He led Britain into the post-war era and restored the reputation of the monarchy. George VI died in February 1952 and his daughter Elizabeth II, aged 25, acceded the throne, being crowned in June 1953. 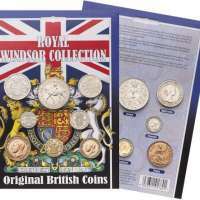 Elizabeth II's reign is one of the longest in British history and during this time Britain's role in the world has changed irrevocably, while the country itself has undergone a fundamental transformation.